Despite the increasing availability of RDF data, exploring and browsing semantic datasets is still a daunting task for lay users. RDF Surveyor is an easy-to-use visual exploration tool that can be plugged in any CORS-enabled SPARQL 1.1 endpoint without requiring any installation. RDF Surveyor offers an intuitive user interface that gives an overview of the repository contents, supports class navigation, and individual visualisation. 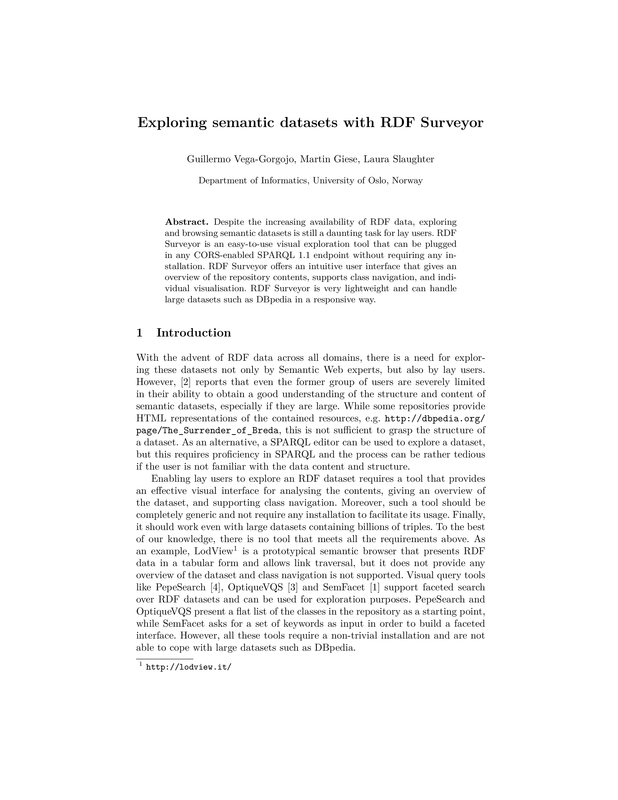 RDF Surveyor is very lightweight and can handle large datasets such as DBpedia in a responsive way.